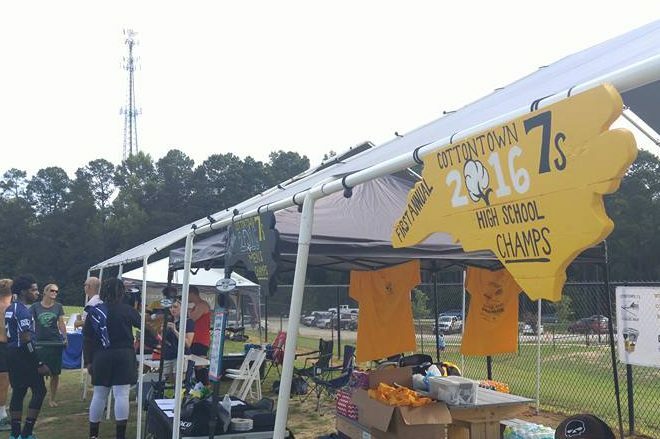 CLAYTON, NC – This past weekend, the Clayton Rugby Football Club hosted the 1st Annual CottonTown 7s Rugby Festival. The tournament brought in 18 teams in three different divisions. The tournament was an entertaining event that kept fans on the edge of their seats. The High School and Men’s Club Divisions were hotly contested with a number of close match ups and thrilling finishes for the many fans in attendance. Fans were kept fed by local food trucks Sak’s Deli, Bam Pow Chow, and the Popcorn Shanty while everyone stayed cool with Kona Ice. Mid day entertainment at the festival was provided by the Wake and District Pipe and Drum Band. In the Men’s Club Division, Southern Pines took home the title with a thrilling sudden death overtime victory over Chapel Hill. Chapel Hill had the run of play in the first half, but Southern Pines pulled even in the 2nd half and scored shortly after the start of the extra period. The Clayton Bootleggers and Hampton Heat made it to the semifinals before being knocked out in close matches against the two finalists. While not the highest level of play, the Men’s Whole Hog Division (i.e. Social Division) produced some of the most enjoyable rugby of the day as all of the teams in the division played in the true spirit of rugby. Clayton Young & Thick, a squad made up of Bootlegger forwards took home the crown with a win over the Fat Daddies, a squad of NC State Old Boys. The High School Division was cut short by a afternoon thunderstorm that ripped through Clayton. The CJRA All-Stars took home the crown via points differential after dominating play throughout the day and outscoring their opponents 125-5. They were scheduled to meet the National Athletic Village Varsity team in the finals. The Clayton RFC is ready to grow the tournament well into the future. A women’s division is on tap for 2017 as is splitting the HS Division into Varsity and JV brackets. 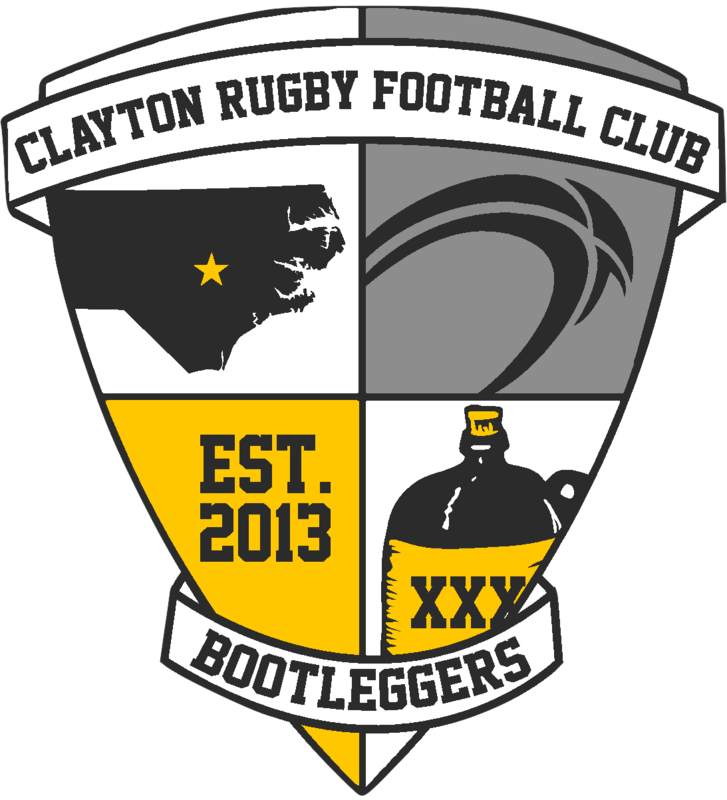 The tournament closes out the Summer 7s season with the Bootleggers, although the club still has the Blackbeard 7s Beach Tournament on tap for early August. Their focus now turns to preparing for a busy Fall season as the club now fields teams in both D3 and D4. The Clayton RFC would like to thank all of the tournament sponsors for their donations. Deep River Brewing Company, World Rugby Shop, Clayton Chiropractic, Orthopedic Specialists of North Carolina, and Ruck Science.